The longer I am involved with bonsai the more my tastes change and develop. 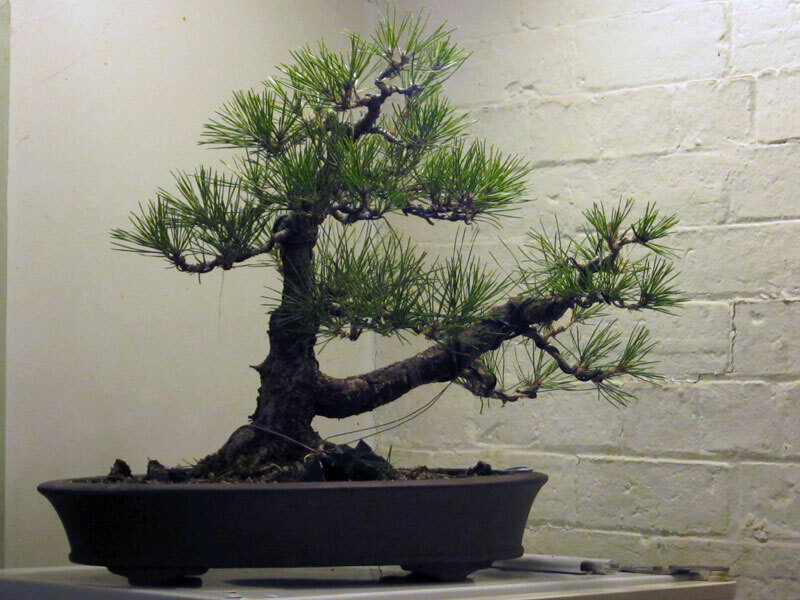 Below is a Japanese black pine that I have been growing for a couple of years. It’s not a classic beauty but I was drawn to its strangeness and the challenges it presented in regards to styling it. I enjoy the challenge of difficult material. Quite often you have to think outside the square a little in order to get a pleasing result and often the bonsai that are transformed from this unusual material often posses something that makes you look twice at them and linger to explore their curves, movement and styling. 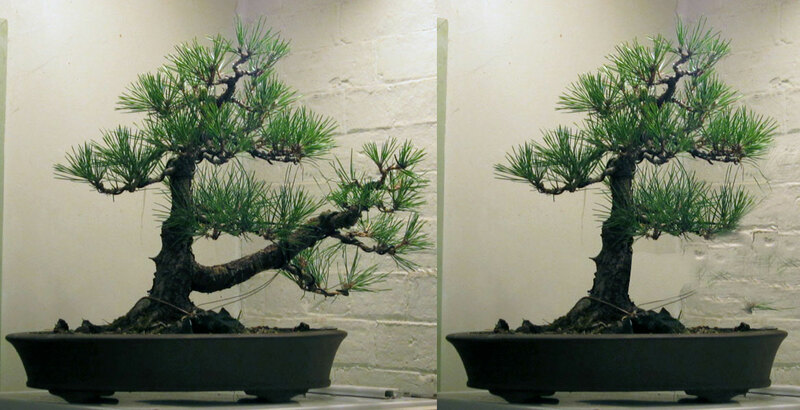 Now this tree had been styled once before, but I had never been entirely happy with the result. I had styled the first branch as just that, a branch. initially this branch was a sacrifice branch, grown to thicken the trunk and when I came to style the tree there was something about it that appealed to me. I had spent all the time since then looking at the tree on my benches trying to work out why it didn’t quite sit right with my eye. I realised this was a simple question for most people because I had many people suggest to just cut it off. I thought about that this time around but decided that I could have another shot at things and try to make the bonsai work with the large first branch. My new approach was to style the branch more like a trunk. I guess the idea is that the main branch got so strong that it started to turn up and form a trunk in its own right. After a quick wire and the addition of a couple of guy wires. Now as you are probably aware by looking at the above photo that this bonsai has a long way to go but at least now I feel this new structure is something that the tree can grow into and fill out to form an interesting, convincing bonsai. Now I am sure that I will get suggestions for the rest of this trees life to cut off the first branch. As this tree is, it doesn’t fit the normal image of bonsai. 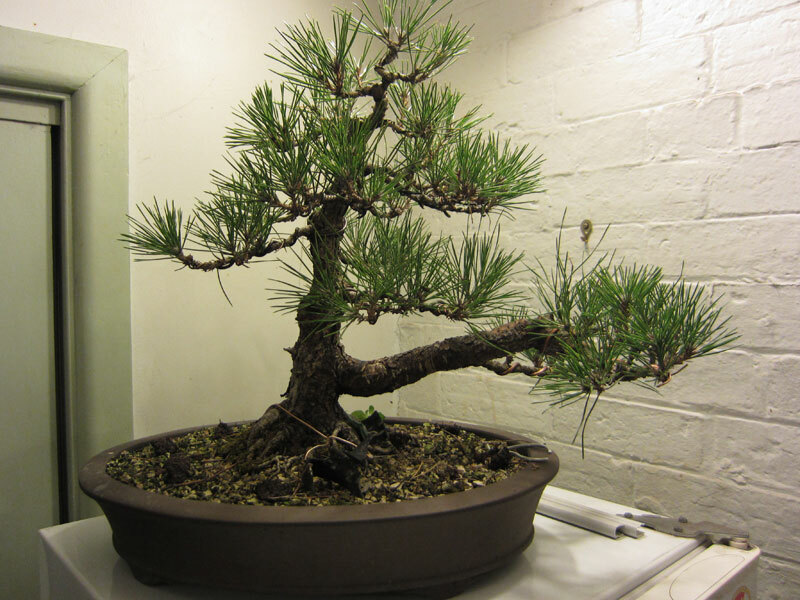 I have often found that the bonsai that are a little out of the ordinary are the ones that I end up remembering and that I return to at shows to have a second look at. Just for interest purposes I photoshopped the branch off. The offending branch virtually removed. Looking at the above comparison it becomes obvious that this is not the right direction to take this pine in at the moment. The removed branch would reveal a straight trunk and leave behind a mediocre branch and canopy structure. If I was to cut off the branch I cannot see the tree staying in my collection for long. I like this tree, i have a mugo with a similar shape. My solution to improving its look is to lay it on it’s side so the oversize first branch becomes the apex and the current apex becomes a large semicascade branch. if your branches are quite flexiable you could rearrange their angle to make a nice shape and planted in a crescent shaped pot. Changing the angle is a little difficult because of the roots, but may be possible down the track. I will see how it develops over the coming season and look at it again then to decide the next step. sometimes one must be willing to experiment and try new things! I think maybe lowering the potting posistion might help the second trunk look more convincing/ natural. That way it dosnt look so much like a big branch growing upwards. But I do see potential on how it can look in the future. Defintley better then a regualr upright.